Renewable Power Installations (RPI) Ltd is an experienced, fully certified, insured and MCS accredited company specialising in solar Photo voltaic (PV) installations and related battery storage systems. We offer design, supply and installations at a low and competitive prices without compromising on the product and installation quality. 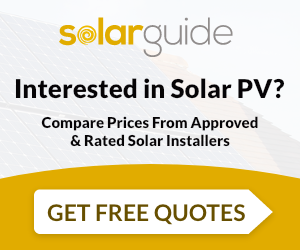 Complete bespoke solar PV systems completely designed according to your energy needs in order to fully maximise your outcome from your solar PV system. Our industry leading and MCS certified products enable you to produce your own greener and cleaner energy in as efficient and environmentally friendly way as possible. Not only this but a solar PV system which will generate inflation linked and tax free income all GUARANTEED for 20 years though feed-in tariff. Let's not forget the savings made on you electricty bills over 20 + years. Even though we are based in Bristol but we do install solar PV systems in various other regions including Bath, Swindon, Oxford, Reading, Gloucester, Oxfordshire, Gloucestershire, Devon, Cornwall, Plymouth, South Wales, Worcestershire, Birmingham, Wiltshire, Somerset and North Somerset. Please note this is not a exhaustive list of areas where we operate. So please do get in touch if you are interested and we will do our best to provide you the most professional service regardless where you are based. 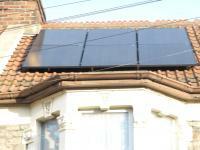 Renewable Power Installations Ltd supply and install Solar PV. For similar installers in this area please visit the Bristol solar page.